Shipping cargo and other goods overseas to Singapore takes preparation. However, international services to this city-state have become more important and widespread over the past decade due to its attraction as an international destination for expats and those working overseas. Furthermore, Singapore has very strong links within international trade and thanks to its international port; it has become one of the most prosperous states in the world. The port of Singapore is actually the second largest in the world right behind Shanghai. For those shipping cargo to southeastern Asia, there is a very high chance that your goods will make it through here. Singapore can also be utilized if items need to be transported to Malaysia or Indonesia, as the region is covered with small islands. For shipments to the southeast mainland, shipping to Hong Kong is a better option. 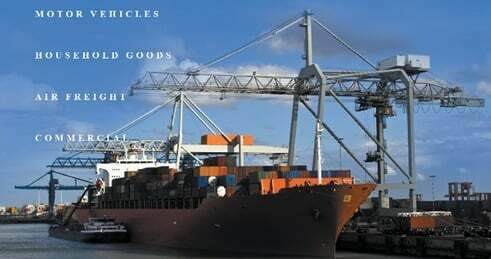 Millions of containers filled with commercial and personal goods are shipped to Singapore and serviced every year. Schumacher makes a few hundred shipments each year to this port and the items that we ship vary but there are few types of goods we cannot transport. For those who are moving here and want to bring your pet or animal, the country has strict guidelines. Visit our page on pet transportation to make sure that your pet is both eligible and meets the requirements for pet travel to Singapore. Where Does Your Shipment Need to Go? Singapore is both a city and a recognized state. The entire country is about 3 times the size of Washington D.C and it is located in the south of mainland Malaysia which makes it an integral point for international shipments into the area. A few of the major cities we serve in Singapore include Sentosa, Singapore, Clarke Quay, Boat Quay and Little India. There are multiple other cities which may be your final destination. If you need your goods shipped elsewhere, our team can arrange for an alternative delivery. We ship to many places across the Federal Republic of Singapore. Below are some of our most popular destinations. If you don’t see your town on the list, don’t worry. We ship to many German cities. Just call to ask how we can arrange a delivery to your specific town. Singapore has a higher GDP than most developed countries. The total length of all Singapore’s roads could stretch from the city to Hong Kong.